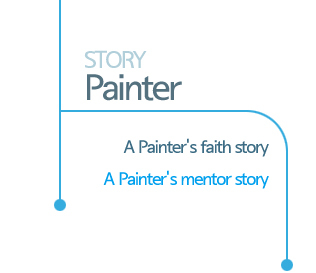 A Painter's mentor story > You must pray. Then what you wish for will come true. You must pray. Then what you wish for will come true. ‘Prayer’ is talking to the Holy trinity in the name of the Lord. Among what you have prayed for, only what is proper reaches God. and then send them to help you and let your prayer be fulfilled. God grants it only when you pray. It is because that is God’s law. So God fulfills it for you absolutely only if you pray. Just as crops do not grow without the seeds being sown, things do not happen unless you pray. and you must not stop after praying briefly. and you have to pray until the end. and wait while conversing with Him through prayer. It is a law that says that you will be given if you pray and if it is appropriate. 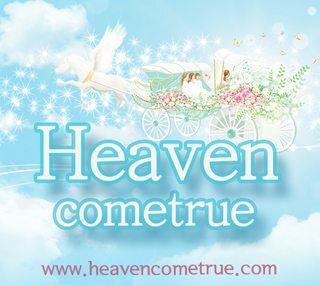 You must absolutely believe in these Words and pray. that are a continuation of what you said previously and you need to connect the two. As you continue to speak in that way, you should speak clearly in front of the Lord, the Almighty King. and you will not have distracting thoughts in the brain. and spiritual things will occur to you. Therefore, you come to do things receiving strength to take action and ideas. If you pray, all of your ‘body,’ ‘heart,’ ‘brain,’ ‘soul,’ and ‘spirit’ experience changes. and even if wicked people tempt you, your heart will not be tugged. You must pray, then you can realize deeply when you hear the Word. You must pray, then your destiny will drastically change for the better. You must pray, then you will live even through a deadly crisis. You will certainly gain as much as you pray. Prayer is a law of the Trinity. Therefore, you must pray, then [the Trinity] will grant it. you must sow the seeds called ‘prayer’ before God. Then He will give you a reward for that. The answer to prayer comes in a variety of ways. and sometimes [God] gives a revelation through people or nature as well. If we do not pray, our body, brain, heart, soul and spirit all do not have strength. Thus, we cannot do things with our own strength. from the Almighty God, the Holy Spirit, and the Holy Son. You must pray, then you will realize properly when you hear the Word of the Almighty Holy Son also. and they will resolve your problems for you. You must pray, then it will be beneficial in all circumstances. You must pray, then you will become united with the Holy Son and live loving Him. You must pray, then you will realize and know your sins. If you pray, the Holy Son will give you another chance and allow you to take action. Prayer is a conversation with God, the Holy Spirit, and the Holy Son. Those who do not pray are spiritually mute. and you will realize like lightning and take action. Prayer is the greatest energy for the spirit and body!